Should you ever find yourself in Niagara Falls, be sure to explore all of the exciting attractions that the place has to offer. This world famous tourist spot has many wonderful sights in store for you. One of the best viewing spots to experience the magnificence of the Falls is in the Niagara Falls State Park, which is home to the world renowned American side of the Falls and the Bridal Falls. This park is free to get into, and it is also wheelchair accessible. A deck was built just 150 feet away from the base of the falls, and it is the best viewing area for the handicapped and adults with young children. If you’re looking for some up-close excitement, check out Horseshoe Falls by taking an exhilarating boat ride on the Maid of Mist where you can see the magnificent beauty of glorious waters rushing past wild rock formations. The Maid of the Mist tour is found at Clifton Hill’s foot at the base of the Prospect Point Observation Tower next to the American Falls. The tower stands at approximately 260 feet tall, and it is one of the most of the beloved viewing spots in Niagara Falls. If Prospect Point is on your list of must-see’s, you should be aware that it is only open during the months of April to October. 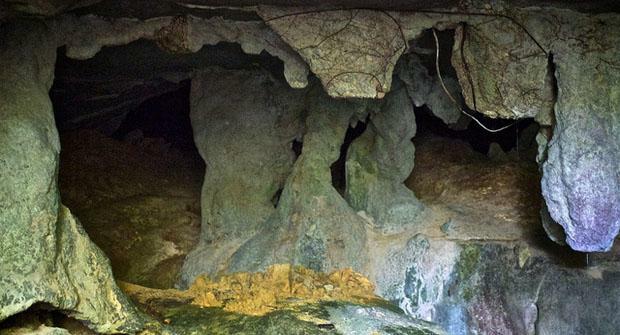 Another of the must see attractions in Niagara Falls is the Cave of the Winds, which is located on Goat Island. 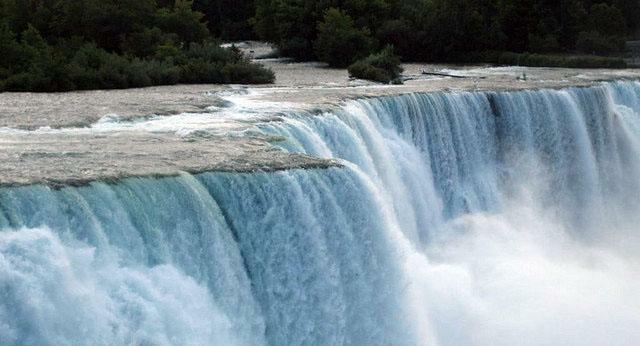 This guided tour will take you under the falls by riding in an elevator that goes 175 feet deep into the Niagara Gorge. This is the place where you will experience quite an exhilarating adventure. Your heart will pound with excitement as you will be a mere 20 feet away from the rushing waters of Bridal Veil Falls. Craving for more of the breathtaking sights? Head over to the base of the Skylon Tower on the Canadian side of the Niagara Falls and be mesmerized by an iMax showing of “Niagara: Miracles, Myths and Magic”. Here you can experience fine dining, shopping and a Ride-To-The-Top and the Indoor/Outdoor Observation Desks for free for all those who dine at the restaurant. 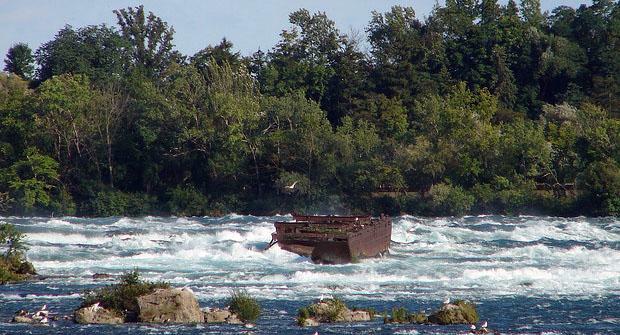 For those of you that crave a visual history lesson, visit The Scow on the Niagara River, which is located just upstream of the Horseshoe Falls. The Scow is a barge that broke free of its ties from a tug boat back in the year 1918. It drifted out of control into the Canadian channel towards The Falls. Luckily, the barge became lodged by some rocks and stopped moving. The crew knew they had to keep this barge in its place so that it would not reach The Falls. Their idea was to manually shift their 50 ton barge load to the front in order to further secure the barge onto the rock shoal. This barge is historically significant and because it is still lodged in its position, it is free for admiring the whole year round. Not all auto insurance companies in Ontario offer the same insurance rates for your vehicle. If you are looking for a cheaper rate for your vehicle, you should compare quotes on-line at Kanetix.ca today to see which auto insurance company is most suitable for your needs.